- In a small bowl, mix Ketchup, Vinegar, Brown Sugar, Worcestershire sauce, Salt, Pepper, and bbq sauce to make bbq glaze, set aside. - In a large bowl mix Brooker's Lean Ground Beef and 3 Tbsp of the bbq glaze you just mixed. Set the rest aside. - Shape meat/glaze mixture into 20 balls, about an inch around each. - Place remaining glaze in zipper bag. Add meatballs in batches; shake gently until evenly coated. 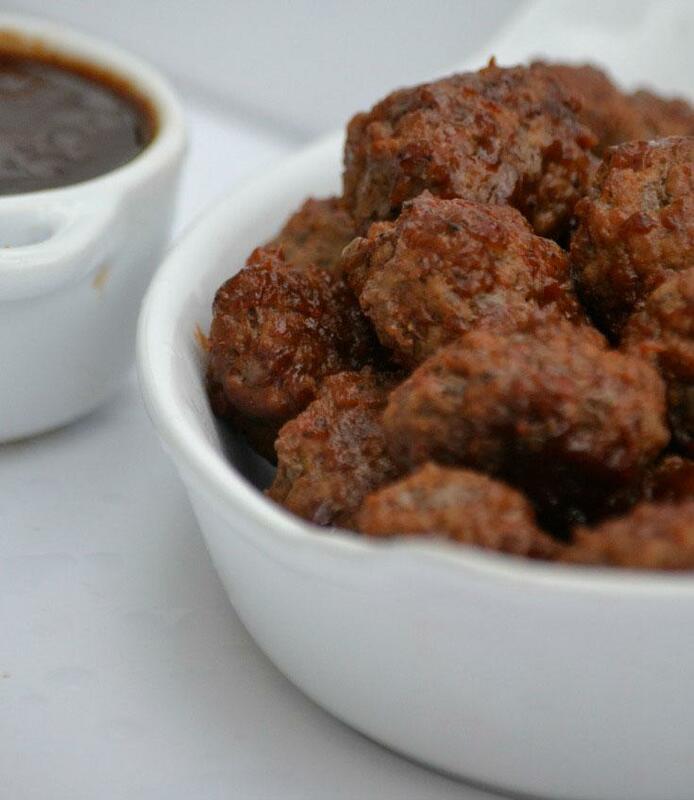 - Place in meatballs in a single layer on a foil lined baking sheet. Spread any remaining glaze on the meatballs. - Bake for 15 - 18 minutes, or until the center is no longer pink. **Serve with your favorite bbq sauce.